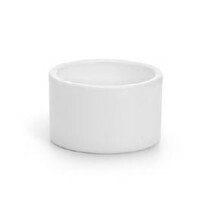 Ceramic feeding bowl with rounded edge. This way the food bowl keeps the feed inboard. The food bowl is available in various colors and is dishwasher-proof.